It’s a 180-mile round trip to the Market for Sean Hope – a dash down the A1. The chef has made the journey countless times. 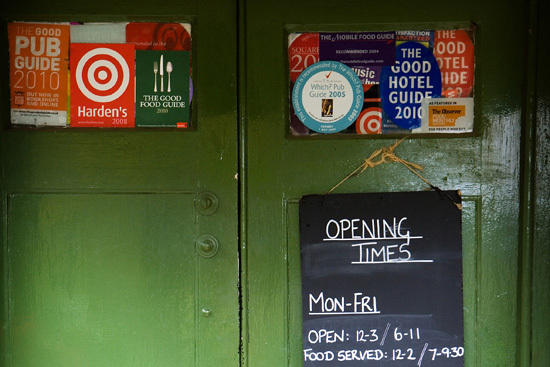 Back in 1999, Hope and his partners opened the Olive Branch pub in the village of Clipsham in Rutland – a trailblazing business well ahead of its time. "Back then there were no gastro pubs. To get a Michelin star was unheard of," Hope says, when we meet just after midnight on the Buyers' Walk. He jumped into his car straight after service and expects to be up all night, after a 7am start. 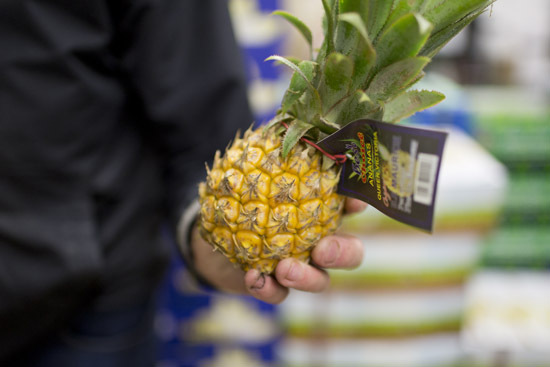 "Looking at this quality gives you a bit of a heads up," he says, scanning the produce on display. Opening The Olive Branch was a bold gamble. Hope had been cooking in a fine dining establishment nearby. The pub was in a state. "We wanted to create something more relaxed and informal – get rid of the white linen." He cajoled family and friends to help turn the pub around in five weeks. "Poor mum on her hands and knees scrubbing the kitchen floor," he recalls. The opening night was a Christmas party for the entire village – 67 covers. "I used to work in a brigade [of chefs] but it was just me and a spotty teenager in the kitchen." Now The Olive Branch is thriving. 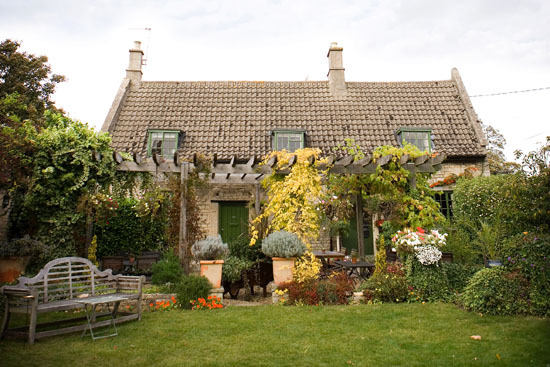 The pub, which includes rooms upstairs, has received many awards including Good Pub Guide Pub of the Year in 2014. 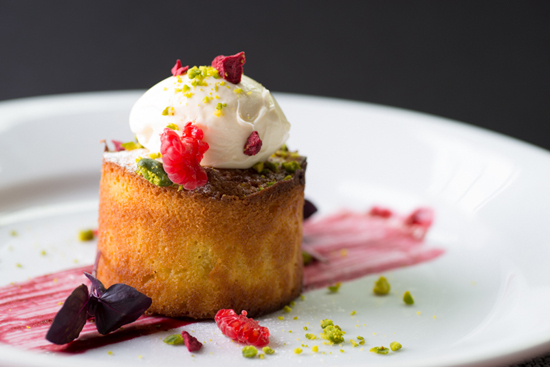 The menu is highly seasonal - modern riffs on classic dishes. "Giving them a breath of fresh air," explains Hope. "Prawn cocktail can be great if done properly." 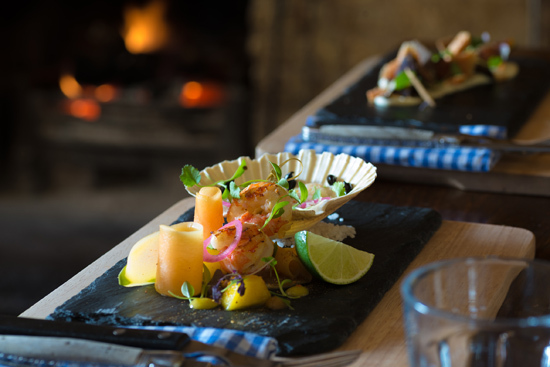 Starters include pan-seared king scallops with vanilla potato puree, black pudding and Yorkshire rhubarb. Main courses star a fillet of seabass with squid ink, pearl barley, chorizo and white asparagus. There are half a dozen intricate desserts, such as coconut pannacotta with compressed pineapple and raspberry meringue. 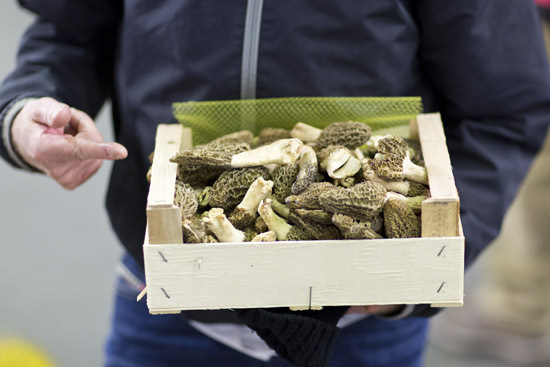 During this buying trip to the Market, Hope is eyeing up white asparagus, purple sprouting, San Marzano tomatoes, Morel mushrooms and pineapples for a tipsy cake. 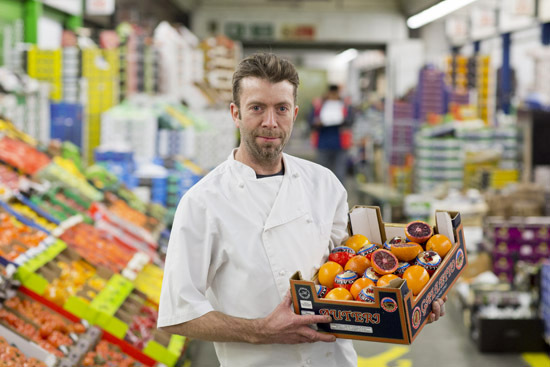 It's a long journey to Market, and Hope has many local suppliers on his doorstep. 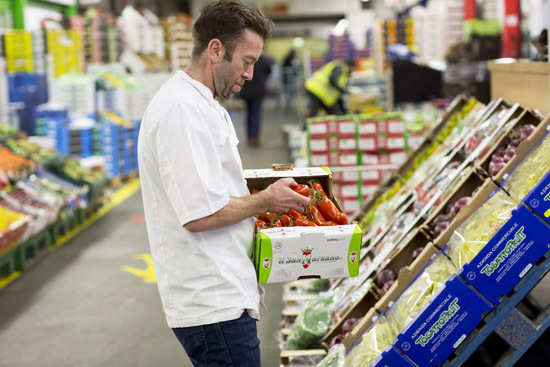 But it’s worth the effort – a chance to check on prices and what produce is just coming in. "It’s the quality," he says. 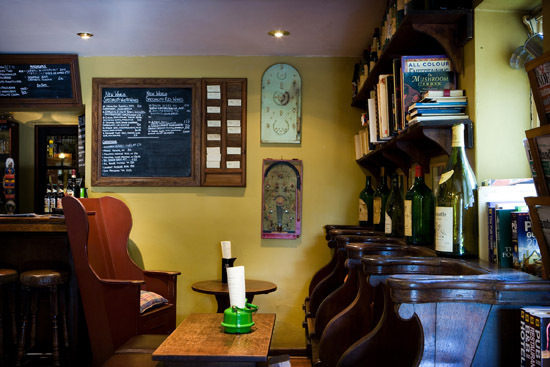 "It's buzzy and vibrant here – like service on a Saturday night. 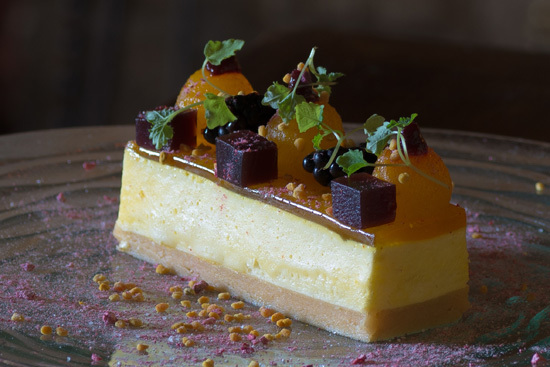 London is a culinary capital so it's nice to touch base with it."